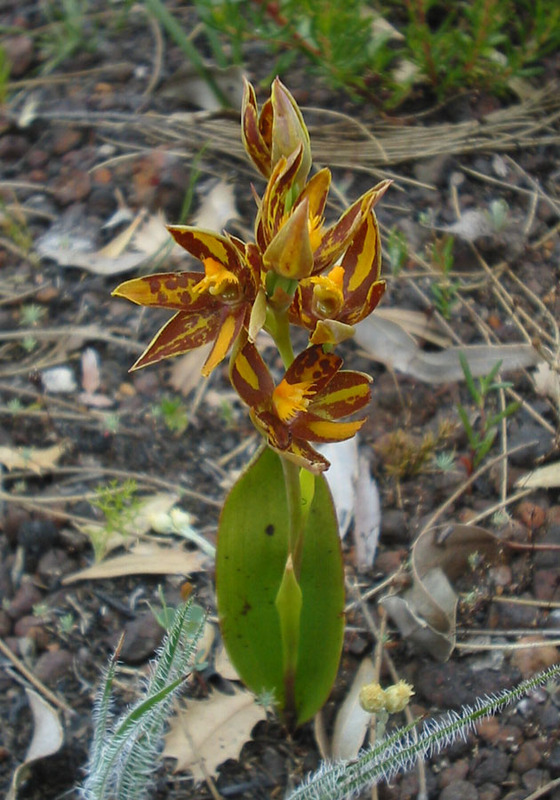 This group consists of a number of very similar orchids. 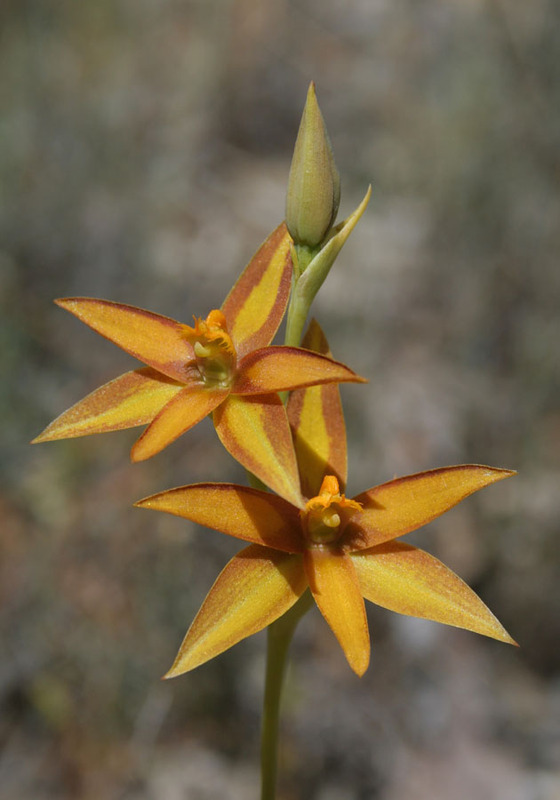 They differ mainly in flower size and flowing period. 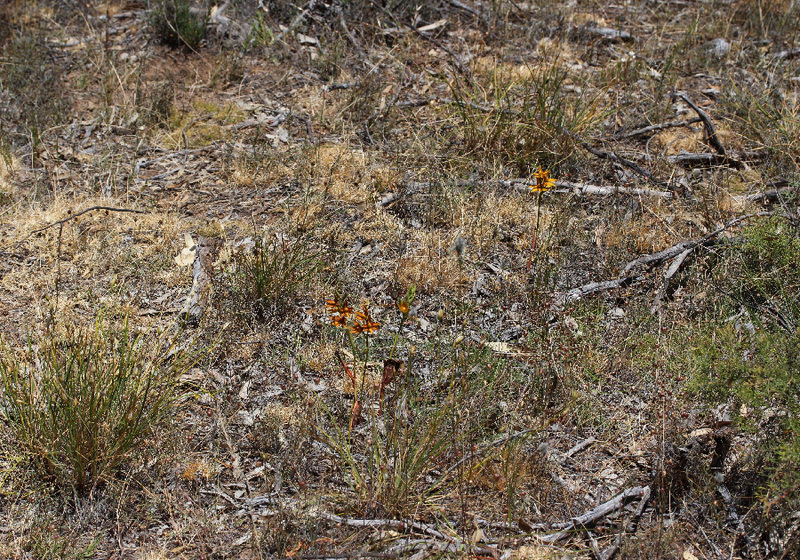 None of them are very common. 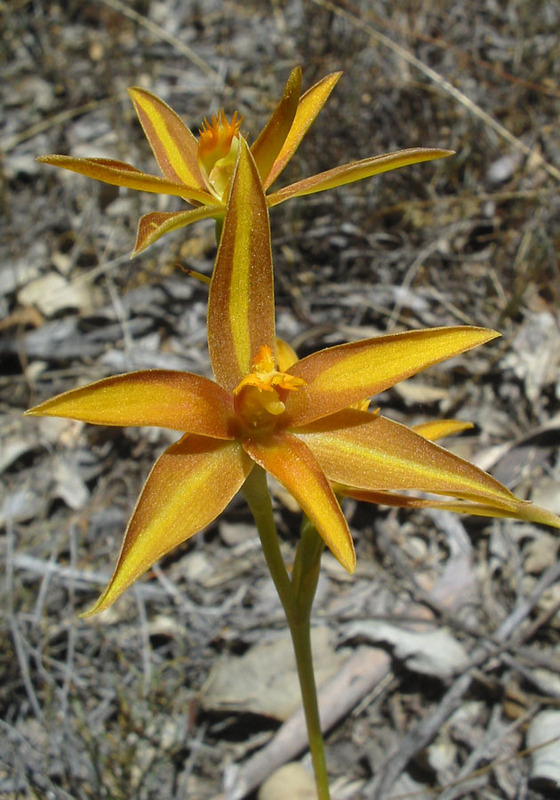 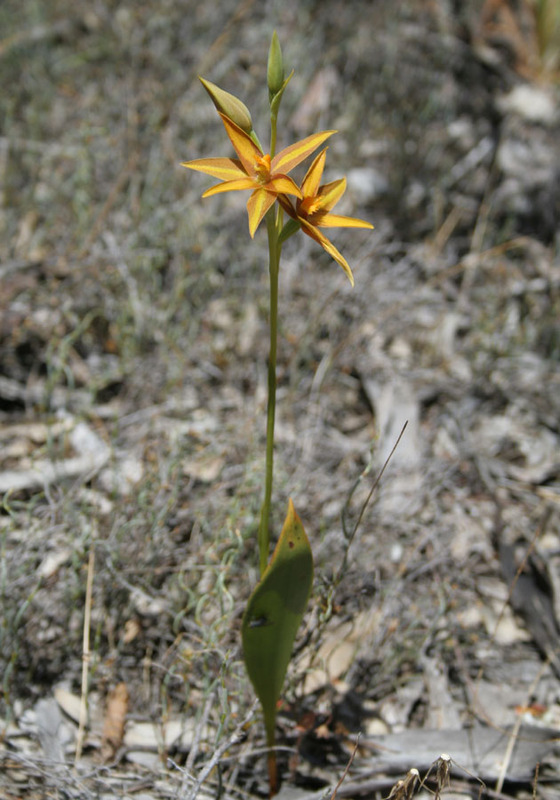 Originally named as a single species, the Star Orchid (Thelymitra stellata), there are now six species currently recognised. 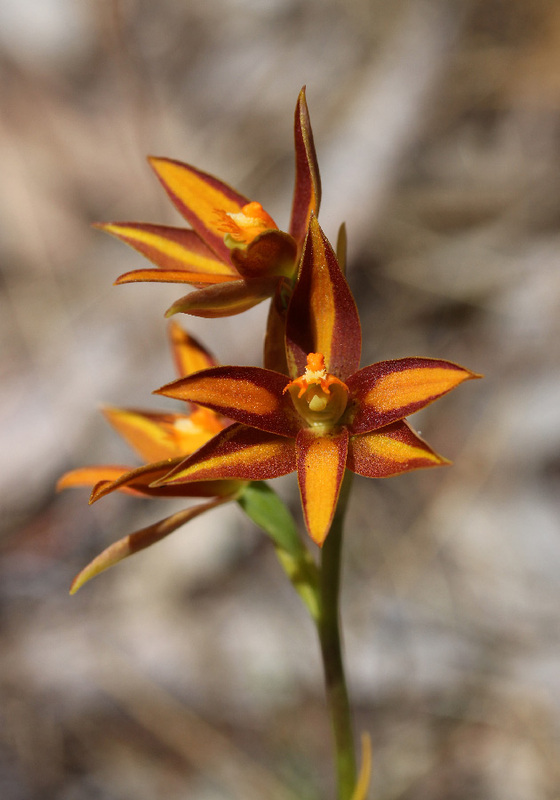 This orchid is the 'original' species of the star orchid group, named in 1840. 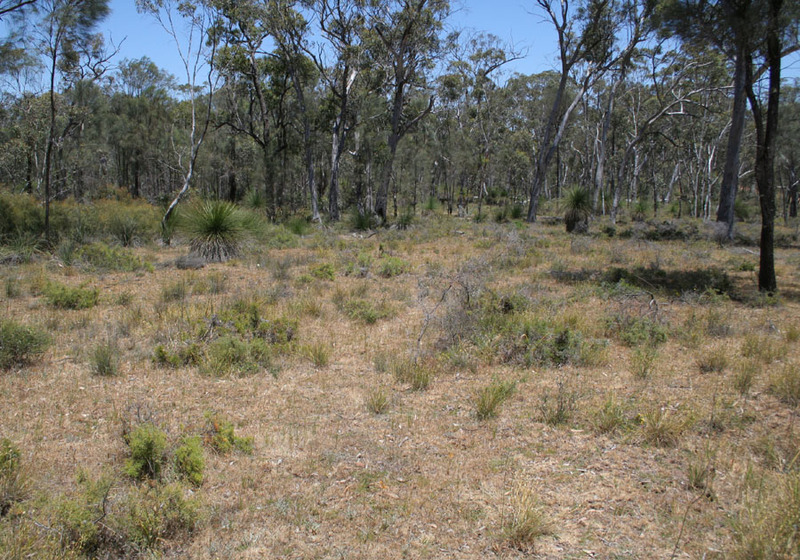 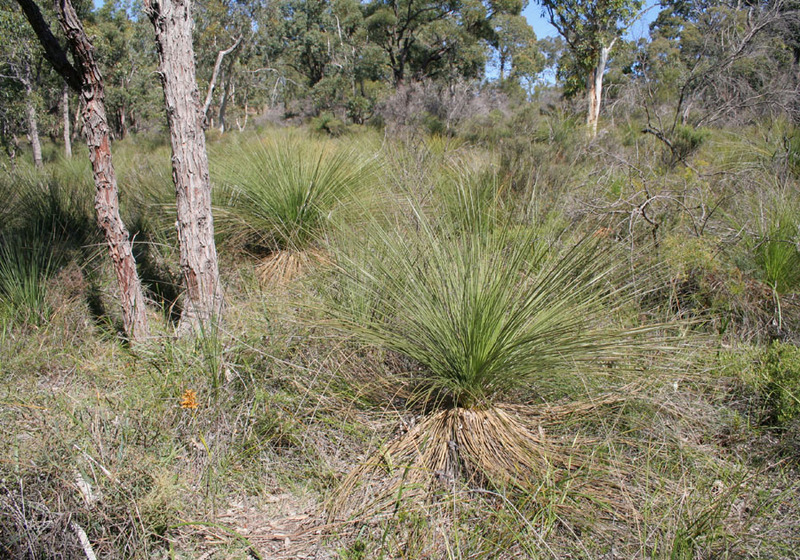 It is found in scattered populations between Perth and Three Springs. 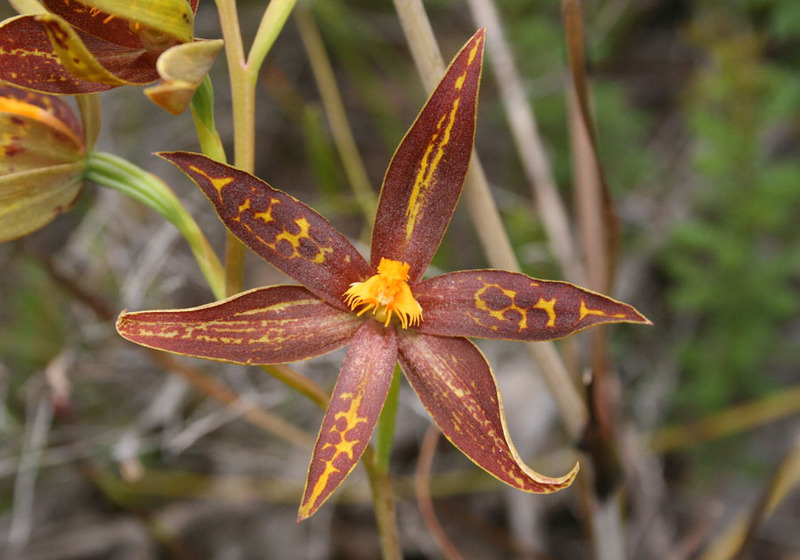 It is identified by flowers with spectacular patters of stripes and spots of brown and yellow. 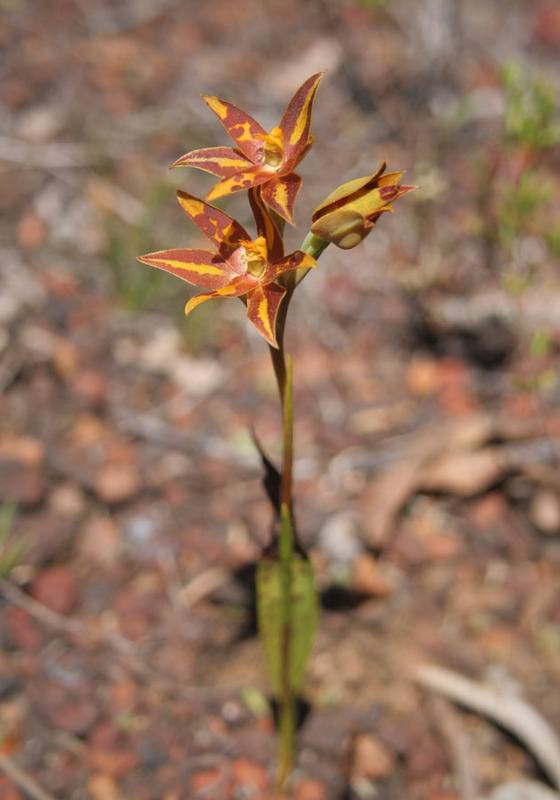 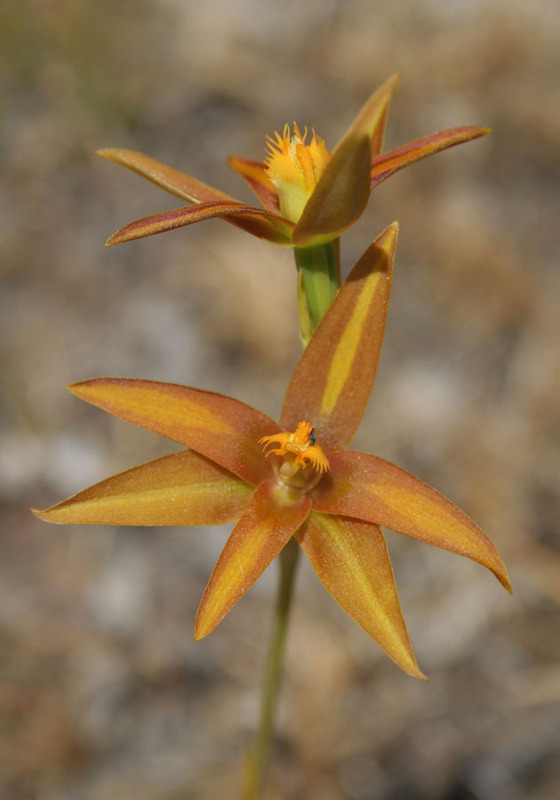 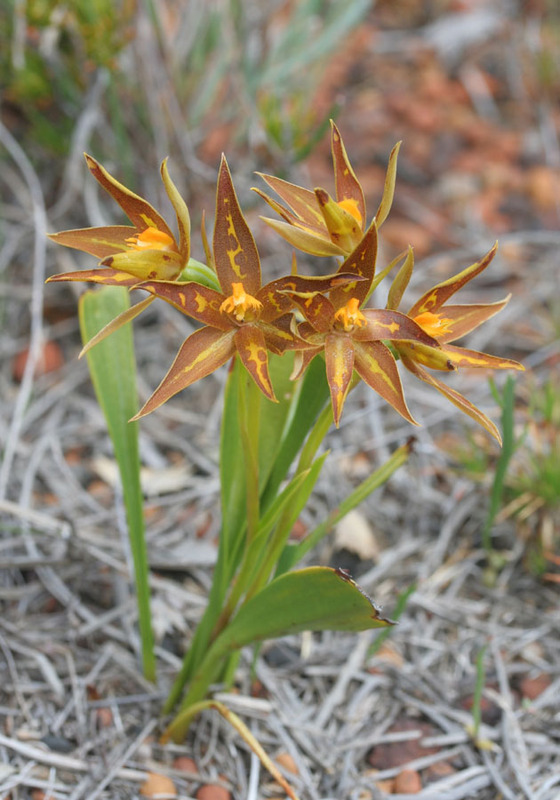 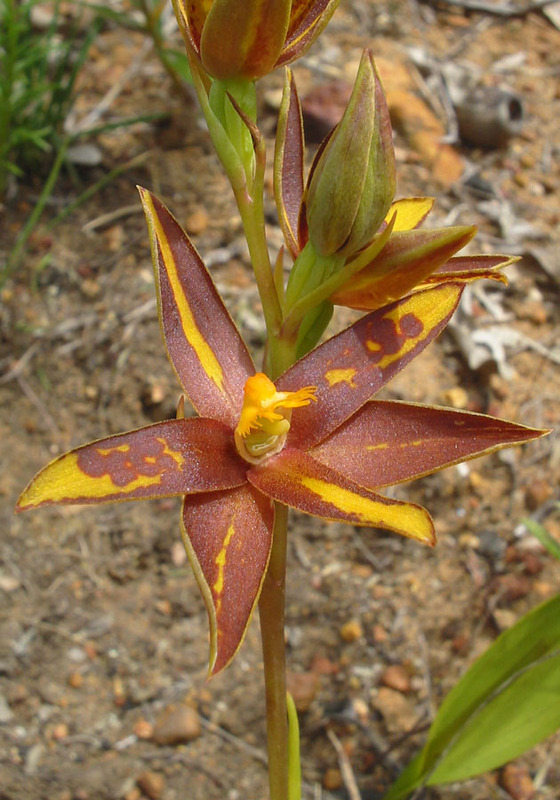 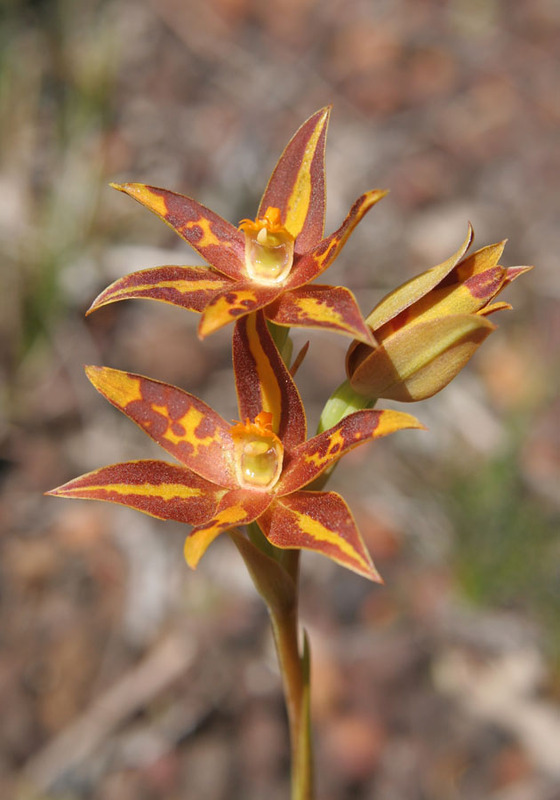 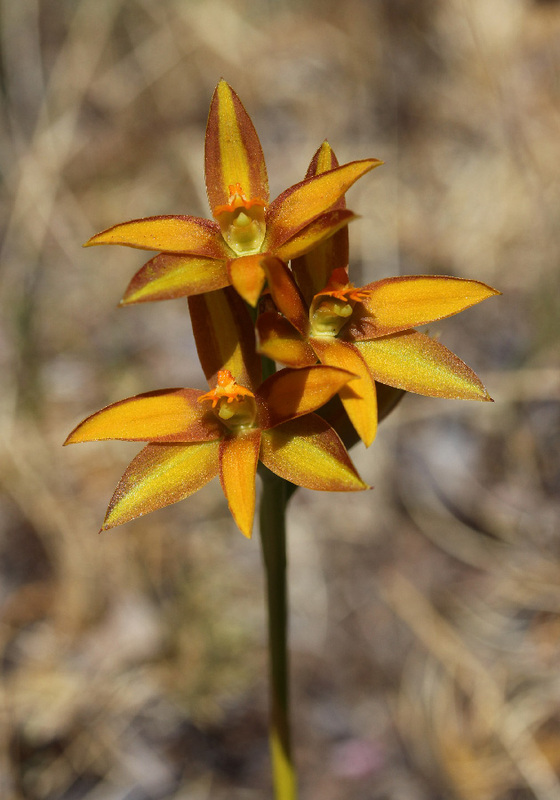 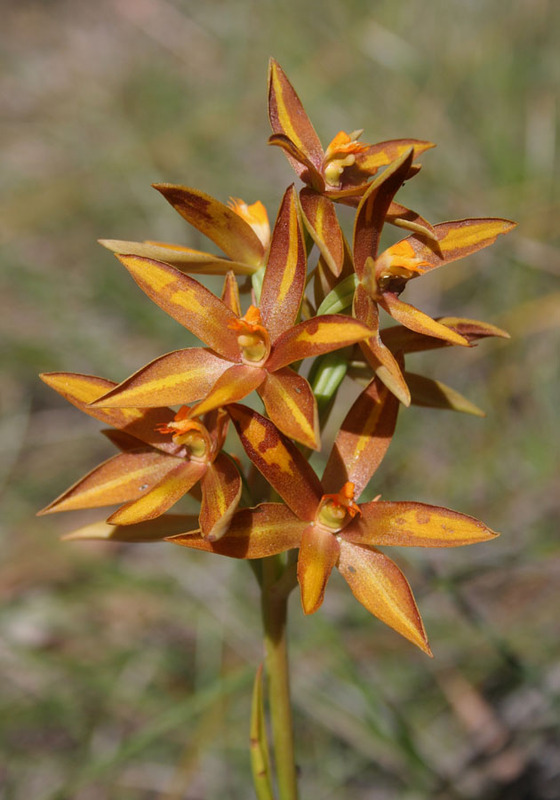 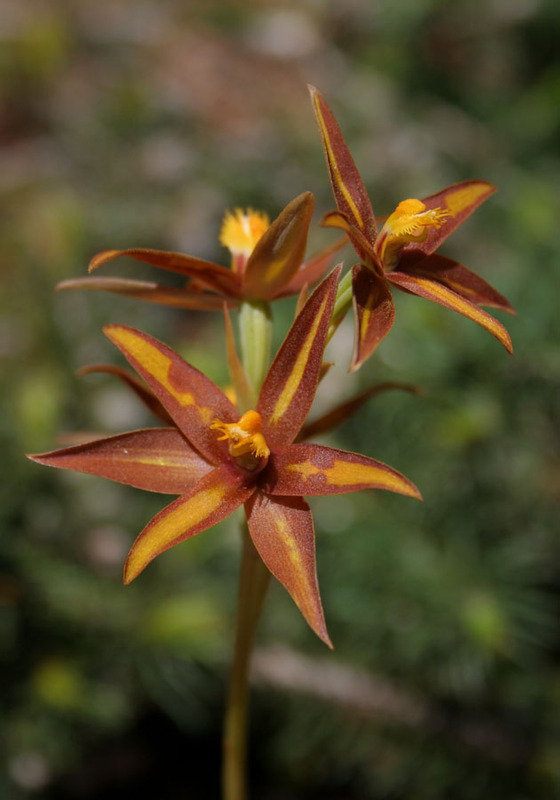 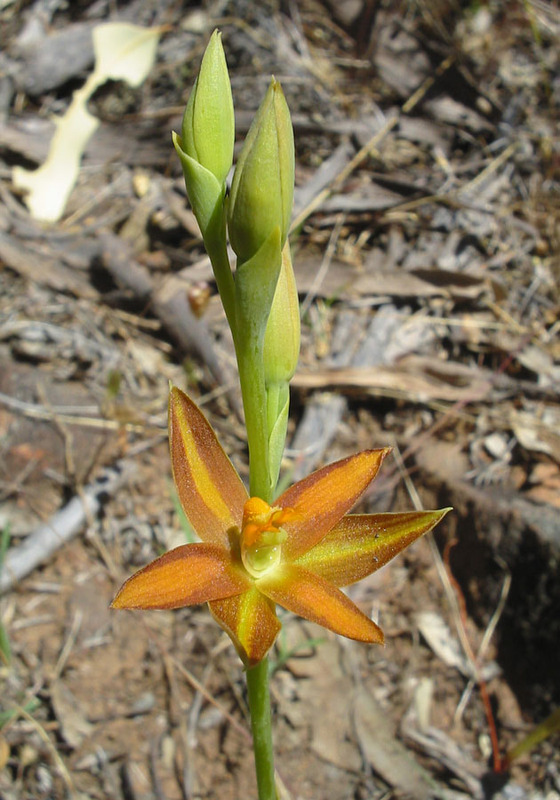 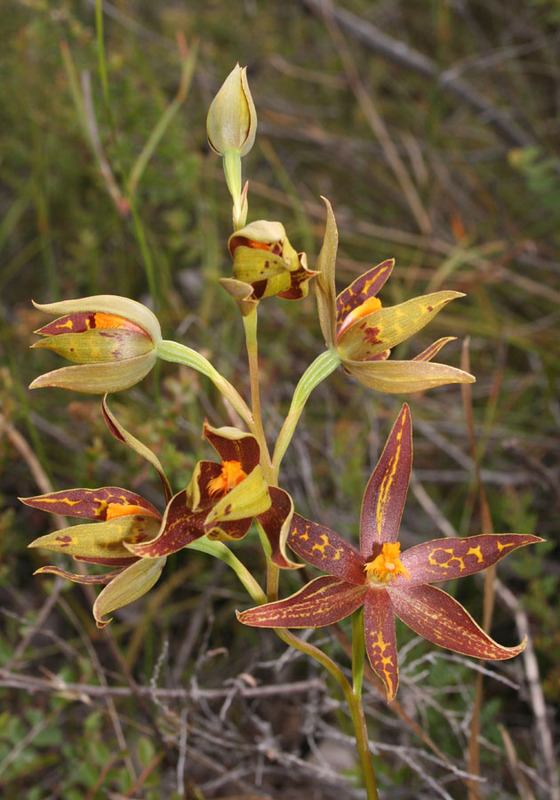 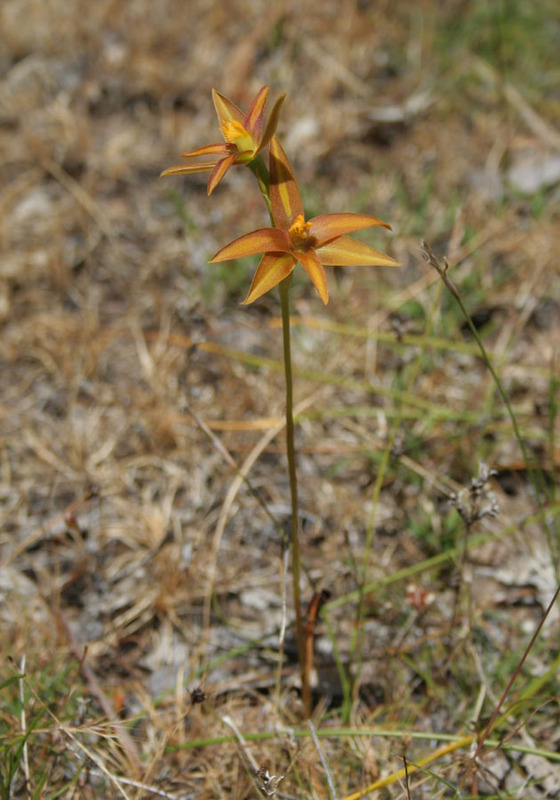 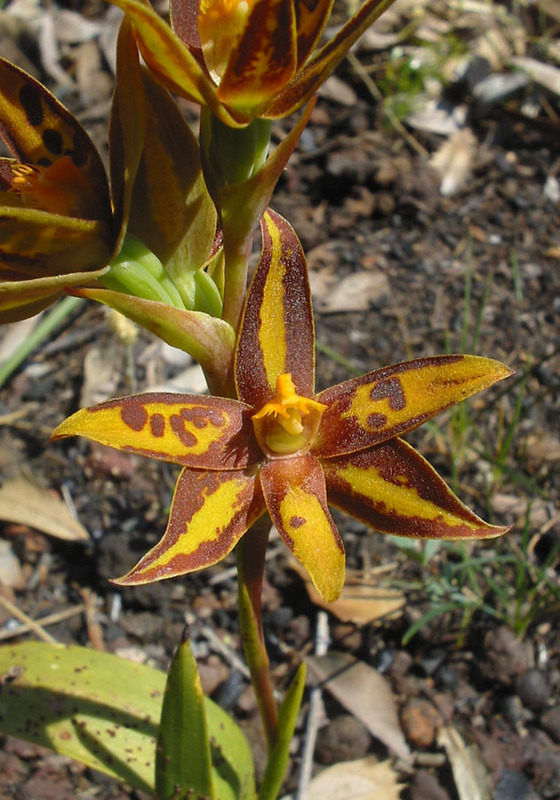 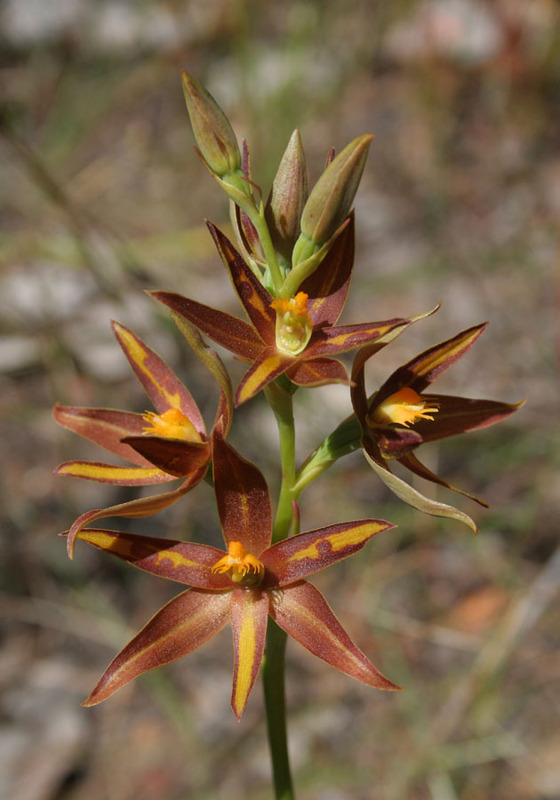 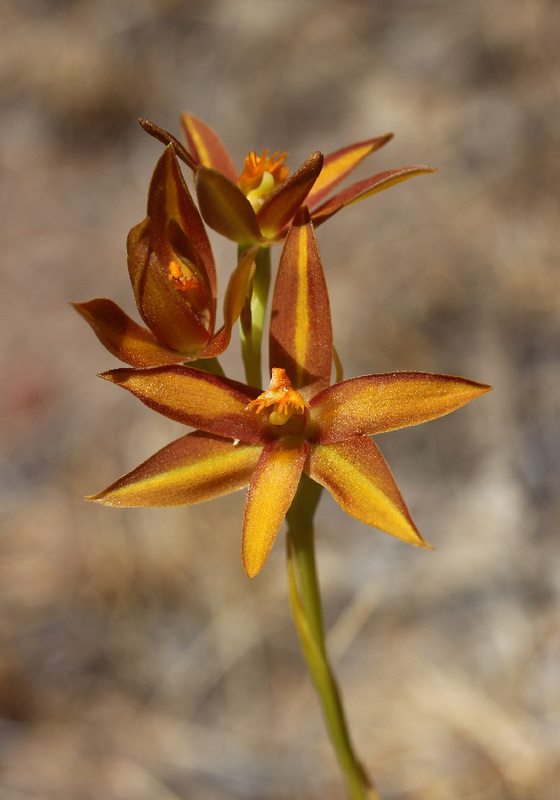 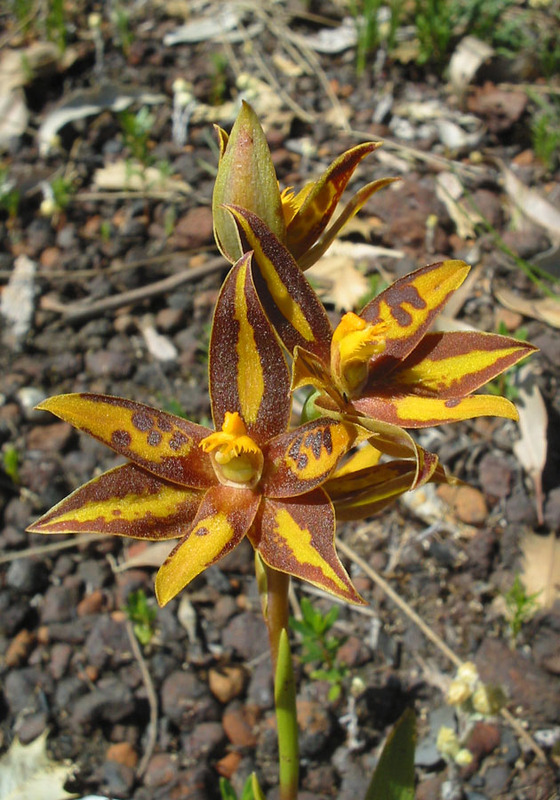 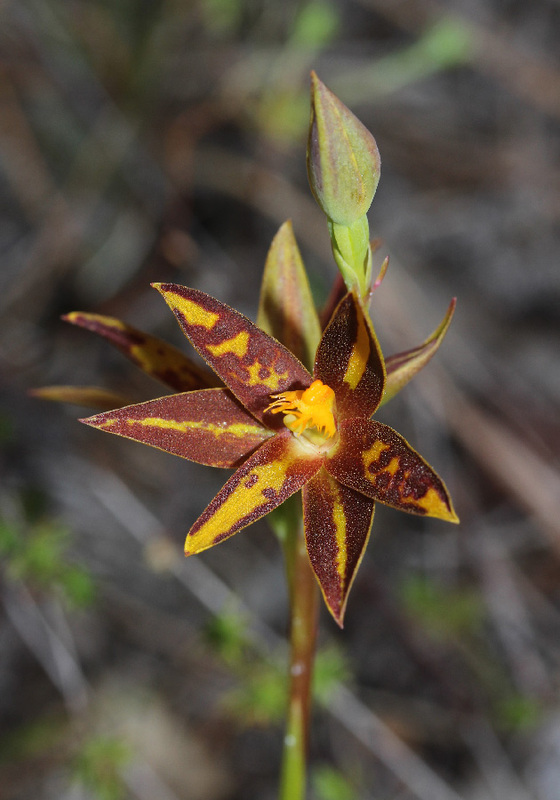 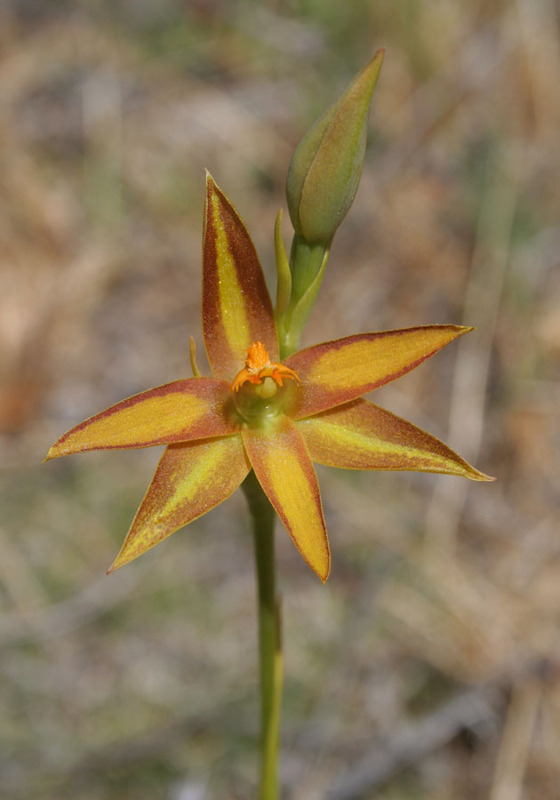 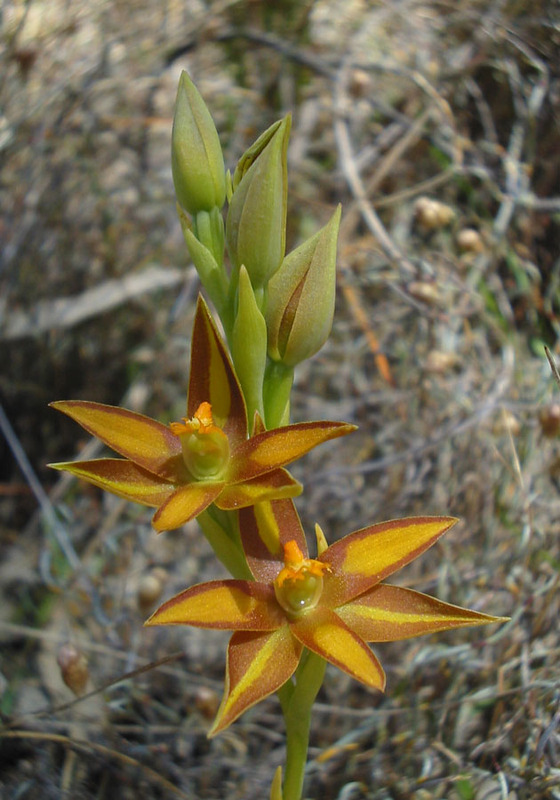 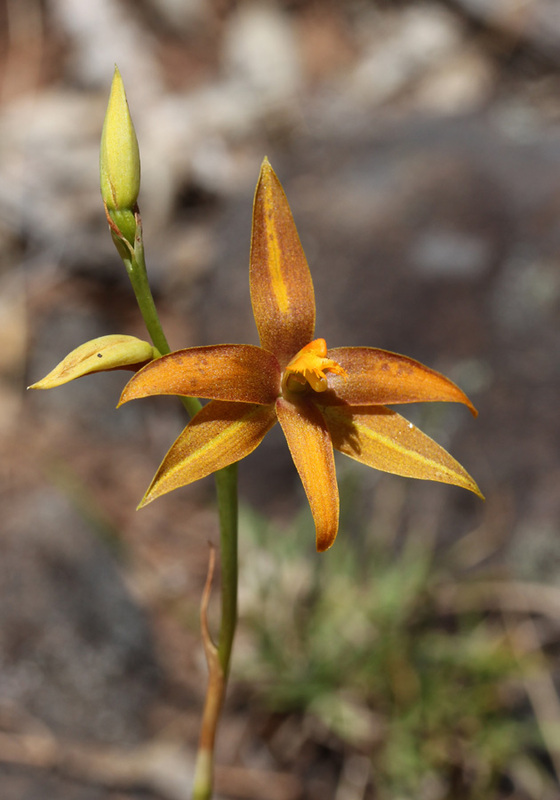 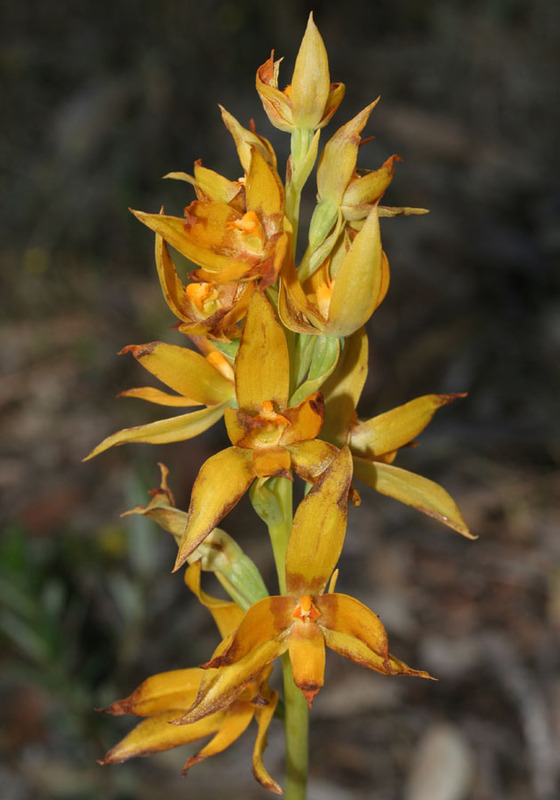 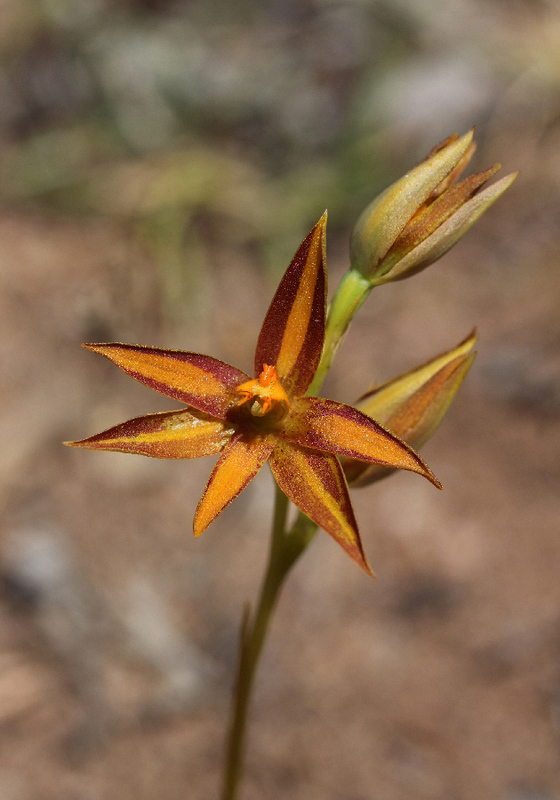 This orchid is known only from the Darling Scarp in the Perth area. 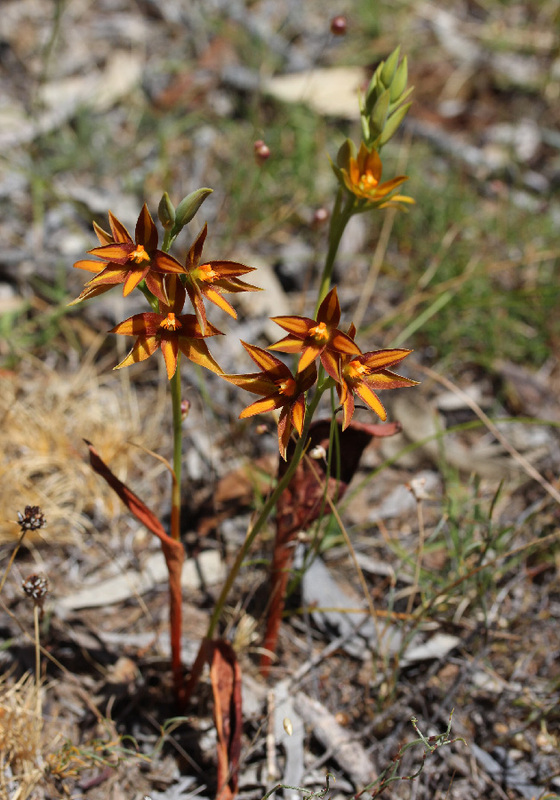 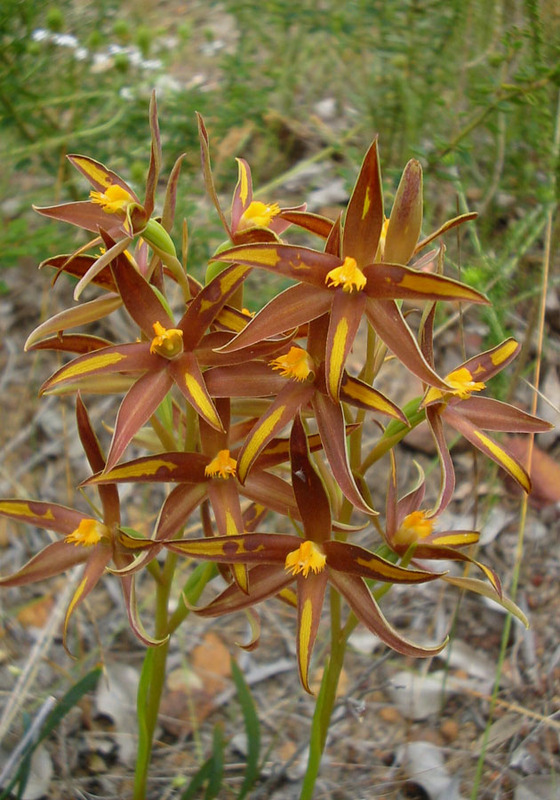 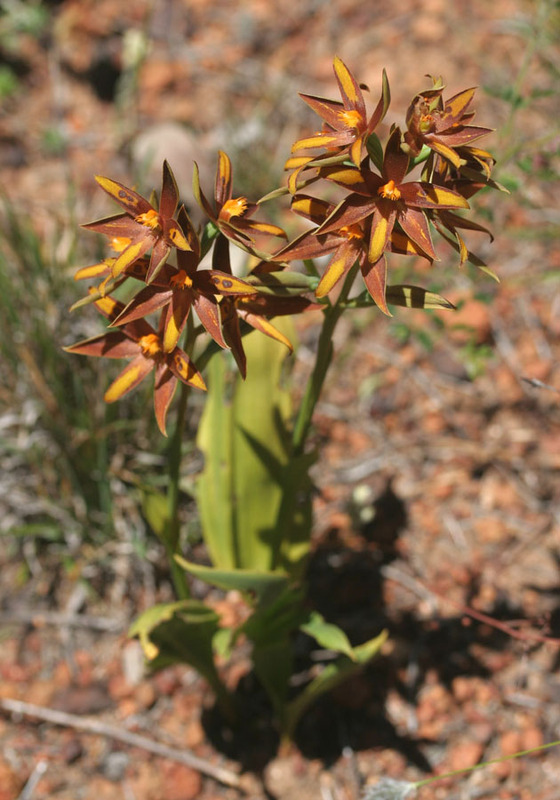 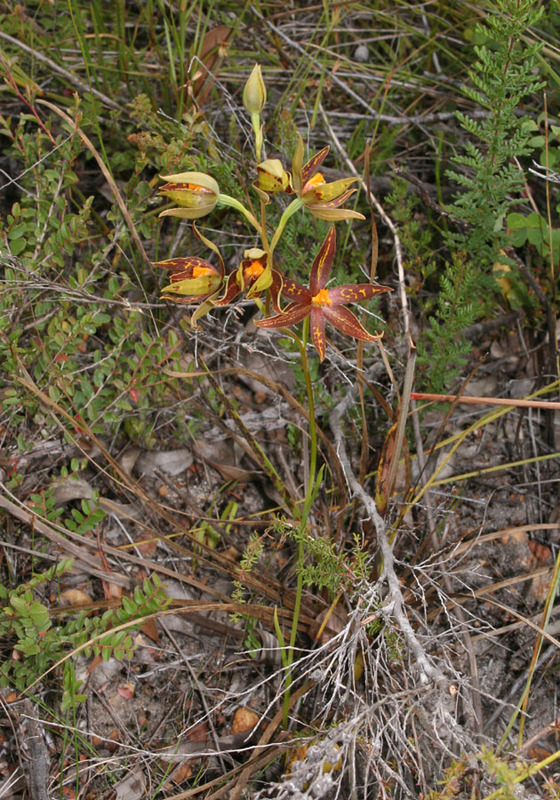 It is distinguished by the dark coloured flowers, which are larger than those of the Star Orchid (Thelymitra stellata) and flowers a few weeks earlier. 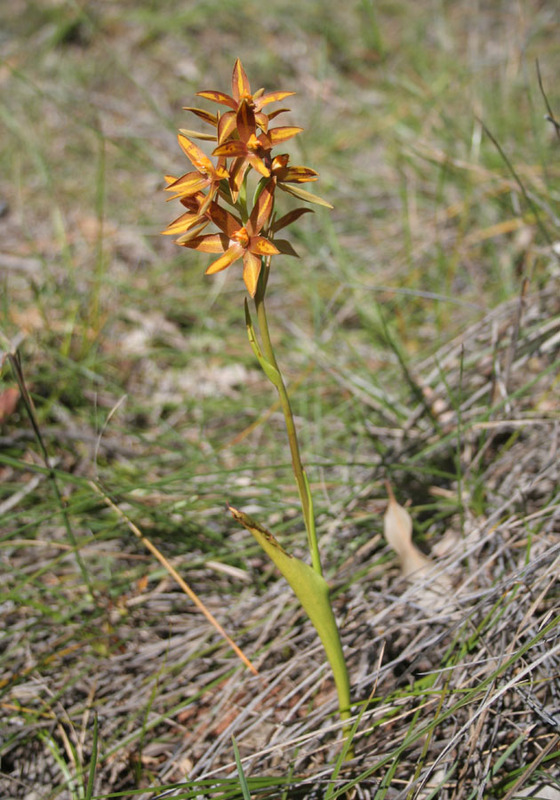 The York Sun Orchid is identified by the paler flowers which usually have brown petals with a yellow stripe down the centre. 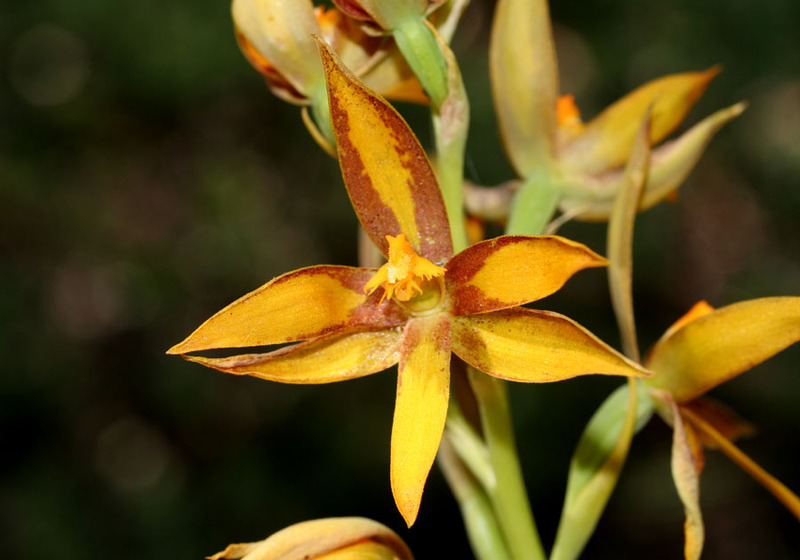 It is found only in an area west of York. 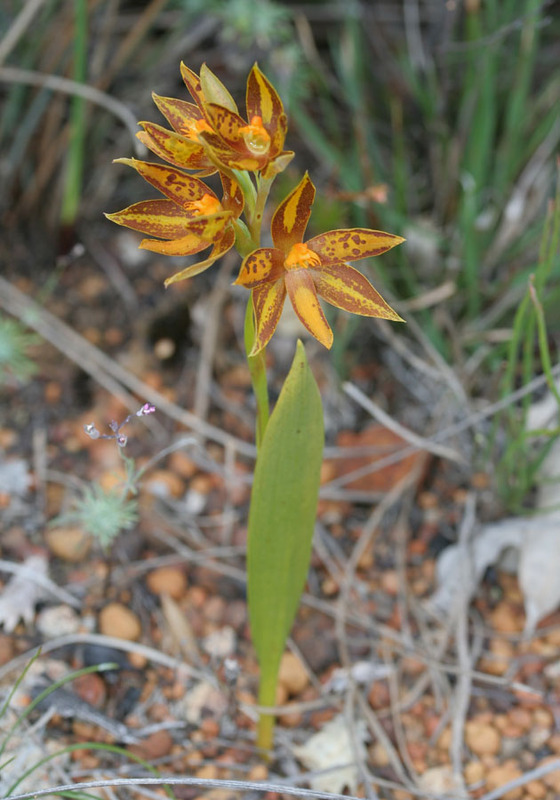 This orchid is named after Bill Jackson, who discovered it near Walpole. 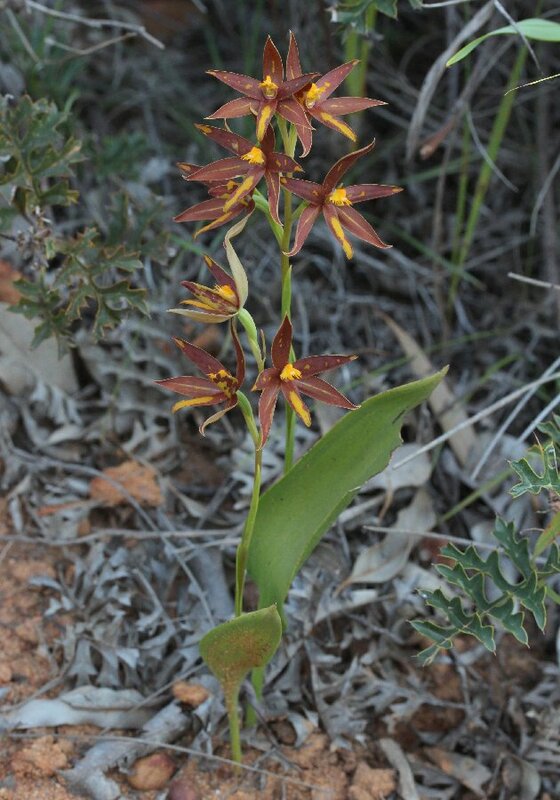 It is identified by its very large, dark coloured flowers and late flowering period (December - January). 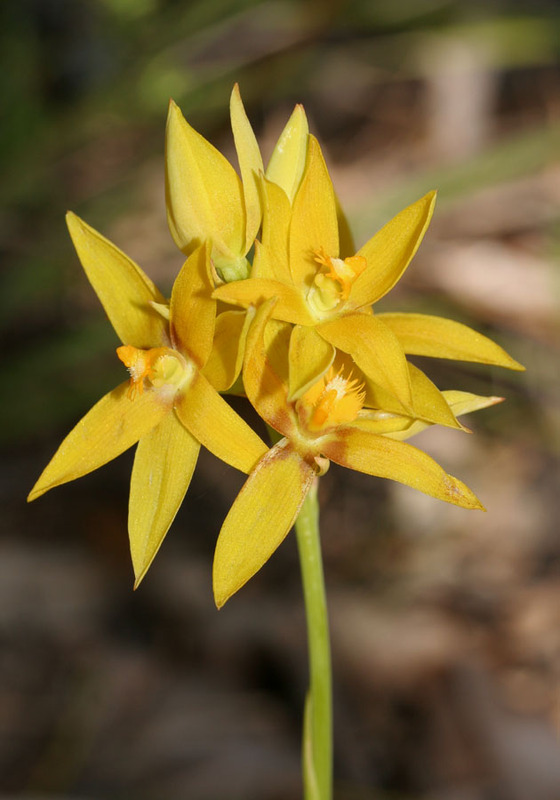 This orchid is distinguished by its beautiful yellow flowers and tall stems.